Established in 2009, Tusaar is positioned to revolutionize drinking water and waste water treatment, valuable metals extraction & recovery and nuclear waste management. 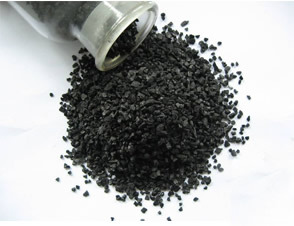 We have developed the chemistry to transform regular carbon and thereby significantly enhance its capability to sequester metals from drinking water and waste water streams. This results in a simplified process, achieves better results and more cost effectively than competing technologies. Our growth is fueled by using superior technology to deliver exceptional results in sequestering toxic, radioactive and valuable metals. Removing lead from drinking water is one example and multiple metals in an organic complex is another. You can trust your project to Tusaar, with technology licensed from the University of Colorado and development & research funded by the U.S. National Science Foundation and the U.S. Department of Energy. We proudly hold one U.S. Patent and have two others pending. Our innovative research center is located in Lafayette, CO (Boulder County). Interested in Contacting Tusaar Corp?